This is probably one of my most requested blog posts and the hardest one for me to write, the pressure of wanting to do it perfect almost took the ´blog style´ fun kind of writing out of it. So please keep in mind when reading that this is, in fact, a blog post. Books have been written about the fear of flying, books where far more information and research has been done. Even though, I still hope that my words and answering some of your questions can help with your fear of flying. I was supposed to have this post out a long time ago but for some reason, every time I opened my laptop, I had prepared my cup of mint tea cut up some fruits and ready to write I came up with one lame excuse after the other why not to write. 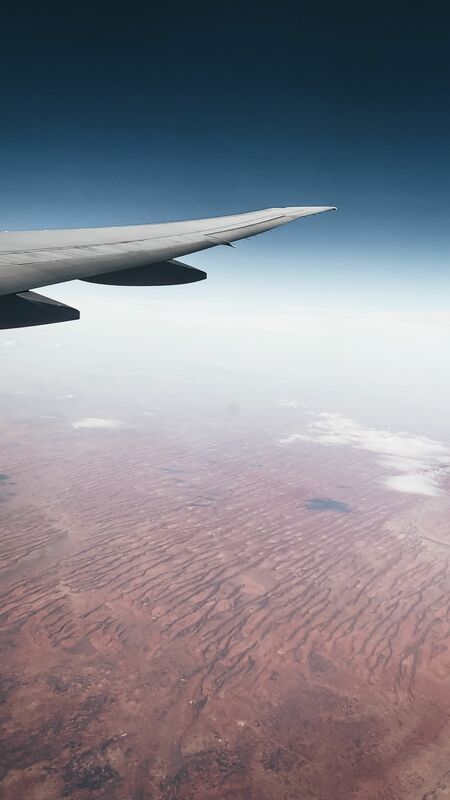 It wasn’t because I particularly dislike writing about the fear of flying, helping you guys if I can is something I love doing, but for some reason, I just couldn’t bring myself to start writing. I compare my writing to someones written in a book, a book that took years to finish, been through several drafts and finally published. My blog style writing is absolutely nothing like that so please, don´t expect it to be. But finally, Friday night, I had a couple of sentences written from earlier attempts but nowhere near done. I decided that I have to get it done! No mint tea or fruits but a big duvet and tucked down in bed and time well past my normal bedtime I decided to get it done! Isn´t that funny how motivation and inspiration come knocking on the door just as we are about to go to bed? So here it is and I hope that you will enjoy it, as always if you have any questions feel free to leave them below or on my Instagram @pilotmaria. One thing when it comes to fear of flying, that probably all of us can agree on is the stress before getting on the actual airplane! My friend @johnnyjet who I met at a TPG event last year commented that when listening to his favorite music helped. I have therefore created a ´relaxing playlist´ on Spotify that I´m sharing with you (link) I always listen to music when I fly, not as a pilot myself, haha but when I fly as a passenger. I put my Bose Quiet Control QC30 earphones on and I´m gone! I´ve taken songs from one of my own playlists on Spotify and created @pilotmaria Stay Calm During Flight playlist, creating this I realized just how many calm songs that are about sad love, I am not trying to get you all depressed by these endless lyrics about broken hearts, not my intention at all so to take it for what it is, a playlist. If you have any songs you think should make the list feel free to send them to me so that I can add them, this is a forever growing playlist. Okay, enough about that, let’s start answering questions. I went through some of them in my latest vlog, but I know that most of you don´t watch my vlogs so I will still go through them again, my vlogs are available on my youtube youtube.com/pilotmaria. I’m still in the trying our stage of vlogging, and it´s not easy I tell you that, it´s fun and I love it but it is very time consuming, my goal is to do one vlog a week that will be out every Tuesday. I learn so much from week to week, to speak slower, keep camera steady, light, edit faster, etc so know that it will only get better! And, side note, I won´t film from the flight deck, I can´t do that I’m not allowed to do that. 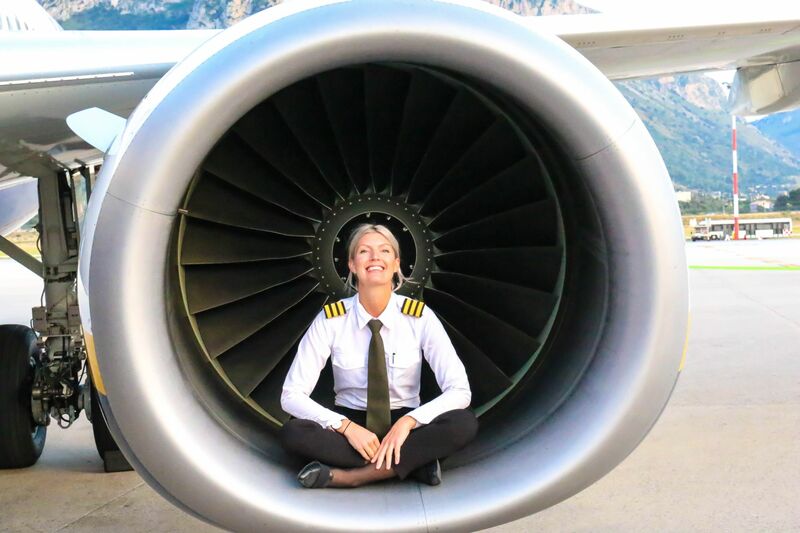 @petrapopelarova asked: I´ve read books, I can hear it a 1000 times that flying is the safest way of traveling, but still, no facts make me feel better. I hate the motion, turbulence and the fact that we are so high and the fact that if one single silly thing goes wrong, I´m dead! My answer: I try to avoid saying that flying is the safest way of transport, I know that everyone who is scared of flying has most likely already heard that one million times, but still, it is the safest way of travel, walking down the street to the grocery store holds a higher risk of something happening to you compared to when flying. How come then that people tend to be more scared of flying than getting the groceries done? Well, if I had the answer to that I would be a millionaire and have my own airplane I can take all of you who are scared of flying up in the air with me and explain everything…dreaming away. What I do know is that flying is unknown, and the unknown scares most. We know how to drive a car, therefore, it doesn’t scare us, we walk across the street every day, therefore, crossing a road, even with traffic overspeeding in both directions doesn’t scare us. We have done it so many times and nothing happened so we tell ourselves that the likelihood of something happening this time is just as slim. Getting into an airplane, however, we do maybe once or twice a year or if you´re a frequent flyer more often than that. I fly an average of 700 hours a year as a pilot and probably at least a 100 as a passenger, for me being in an airplane is almost as common as for you being in your car. I don´t like comparing being a pilot to another profession, but as much as you trust a doctor doing his or her job you have to trust us pilots and that our years of training will take you safely from A to B. We also have family and friends, we wouldn’t go to work every day if it was something we considered dangerous. Before I go to the next question I just want to touch briefly on the last part in your question that it scared you that we are so high up in the air. Yes, we are high up in the air, on average between 10.000 and 12.000 meters, but rather than seeing that height as something to be scared of, see it as time. If in the very, VERY unlikely event that something would happen altitude is time, an airplane wouldn’t just fall from the sky, we can fly and stay airborne even without our engines, the higher we are, the more time we have to make a decision before we have to land. @kamkamgamer22 asked: I am not scared of flying but I always wonder why when the airplane takes off my stomach drops? My answer: That it feels like your stomach drops are nothing worse than your body’s reaction to g-forces, like in a rollercoaster. @gearkhan asked: I am mostly scared of the takeoff and landings. Statistically, they are the most dangerous parts of the flight. Especially after takeoff is scary during landing you have not other option than to wait. My answer: A lot of people are scared of take-off and landings, take off and landing are considered as ´critical phase of flight´not that it is critical as dangerous but that the workload is higher. (Side note, when we practice single engine in the simulator they always cut one engine just after takeoff as that is considered the most critical phase to lose an engine, but it also means that this time is the time where we are the most trained to lose an engine ;)) However, I don´t think it´s the numbers or reading that take off and landings are the most critical that makes passengers extra scared of takeoff and landings, I think it´s because of everything that is happens. Special instructions in the cabin, you have to wear your seat belt, window blinds up, etc almost as ´this has to be dangerous otherwise they wouldn’t instruct us on what to do´ At low altitude just after takeoff or before landing winds are affected by the ground giving a different kind of turbulence compared to what we feel during flight. During cruise the airplane is traveling by air, we fly in the airmass, near the ground, it feels like the airplane almost is being tossed around and fighting against the wind, it´s a lot of things happening and going on. @Imartavargas asked: I am terrified of flying and the more that I fly the worst it gets. Every bad experience, turbulence, bad landing, etc just feeds that fear. I know flying is the safest mean on transportation but knowing that doesn’t help. My pulse starts raising and I get anxious. I read a book ´Cockpit Confidential´ written by Patrick Smith (link) that really helped, made me realize how this is day-to-day for many, like you. The take off is the worst part. My answer: First of all thank you for your comment and for recommending this book, I am sure it can help many, I started reading it but haven’t been able to finish it yet. 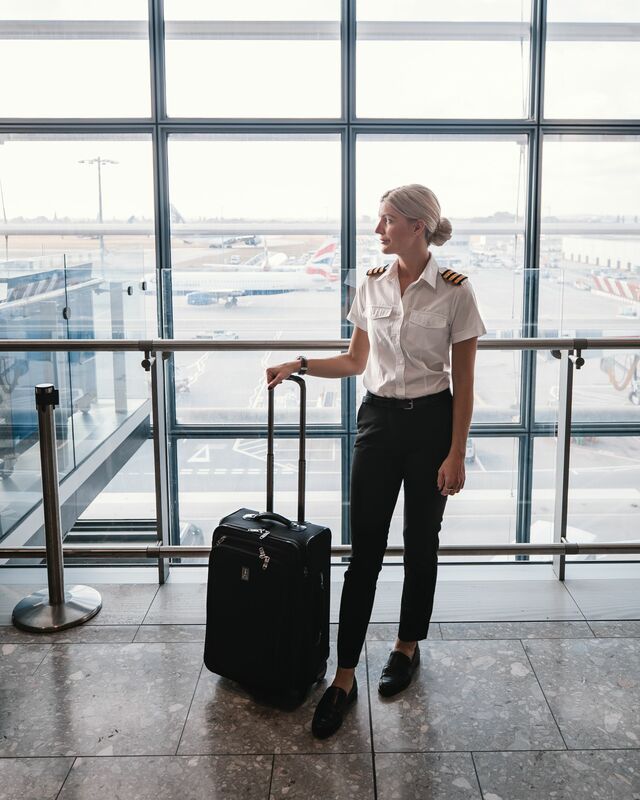 It is a day-to-day job for me, I fly as a pilot approximately 700 hours a year and as a passenger 100 if not, even more, I sit in an airplane more time than I spend in a car, for me it is just as common as it is for someone putting their car keys in the ignition. I can understand that take off is the worst part for many, as mention in the above question with everything going on, seat belt, window blinds, engine spool up and spool down to add that you also have to whole flight in front of you doesn’t add to cautious flyers experience. @angieanzlika asked: There is this thing called ´Clear Air Turbulance´ which apparently can damage the airplane or even lead to a crash, the article that I read simply suggested that the plane can not predict it, which makes it dangerous as it occurs unexpectedly. My answer: Clear air turbulence is as the name suggest, turbulence that occurs from clear air. (We talked about this more in my vlog: link) We have a really good indication of turbulence associated with weather, precipitation that forms clouds gives returns that we can see on our weather radars, clear air turbulence don´t give any returns on our weather radar screens, that does not mean that we aren’t aware of it, we have a good understanding of where and when to expect it, we get reports from ATC, Air Traffic Controllers. However, it can happen suddenly, but it will NOT lead to a crash or break the airplane! It can be uncomfortable as it can happen suddenly which is why it is important that you listen to the flight attendants when they tell you to keep your seat belt fastened when you are seated. @simplyjennys2752 wrote: I hate when you take off a reach altitude and the engines suddenly seem to lose power and go quiet. My answer: We are using more power, a higher thrust setting on the engines as we climb, during the cruise we don´t need as much power. Flying at higher altitude it is not a huge difference between climb and cruise setting, for example let´s say that we use 98% or 100% when we climb and 90% during cruise, it is almost as you have to listen for it to notice the difference when we level at our cruising flight level. However at lower altitude, for example shortly after takeoff in London airspace where we generally have a low stop altitude, lets say 4000 feet, it only takes us a short time after takeoff to reach 4000 feet and take off is generally done at just under 90% of the engines and when we level off at 4000 feet we only need around 60% (these numbers are approximate) so it´s a bigger spam difference than at cruise altitude and therefore it almost feels as if the engines go quiet. Hope my explanation helps, feel free to keep asking if anything is unclear. A DM was sent saying that being stuck in an enclosed space with strangers is what scared her. My answer: I think a lot of people feel claustrophobic when flying due to the small space, not enough legroom, bags under your seat, jacket in your lap and a snoring stranger next to you, I feel you, it´s jackpot every time you get a full row! 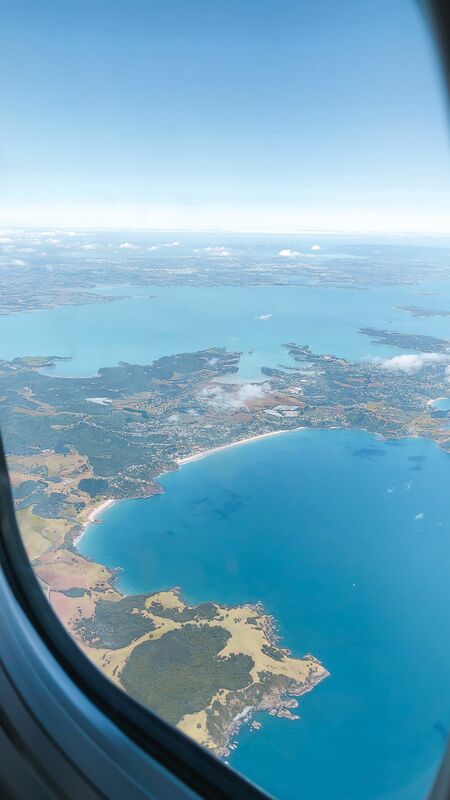 Even I sometimes can feel a slight feeling of claustrophobia when sitting at a window seat, even though, I will ALWAYS pick a window seat over the aisle seat. If you feel bad claustrophobia I would suggest you book an aisle seat rather than window or middle (everyone hates a middle seat though!) get up and walk around once in a while so that you don´t sit still in your seat during the whole flight. @ratirati0 asked: Reading all of these incidents really scares me. Loss of cabin pressure or smoke, how many times in your career have you experienced that? My answer: Knock on wood that I have never experienced loss of cabin pressure in real life but we practice it in the simulator. If we would lose the cabin pressure we have memory items that we follow, you could wake me up in the middle of the night and ask me about and I would know what to do, it is very well trained and nothing that I feel scared for in life, I know how well trained all flight crew are. I few recommendations were sent to help with your fear of flying or at least help you to fly even though you are scared of flying, so I thought I share some of them here. Bring things to do, bring a Rubik’s cube or a similar game, download games on your phone (but never ever play your games with sound! There is nothing NOTHING that annoys me as much as when other passengers watch a movie, a video clip or play a game on their phone or tablet and keep the sound on without wearing a headset! This also goes to all parents letting their children play on their tablet with the sound on!! Hate, HATE it, I take a crying baby or snoring person next to me any day over this, okay, that’s me getting my anger out….back to normal). I wish that I could have answered more questions but at the same time I want to share what I have already answered so I think I will have to call this the night and tomorrow morning, Saturday I´ll have this posted for you after I´ve scanned through it for obvious misspellings, it´s too late for that now and I need to sleep! Take care and love you lots thank you again for sending all your questions and commenting on each other comments helping each other! Love it, you are the best! Check my fear of flying post posted about a week ago on my Instagram @pilotmaria for more questions and questions answered in the comments field. ps next subject will be about pilots medical so try to come up with for me, I´ll probably do a Q&A Wednesdayday on Instagram! Apologies any typos and all million grammar mistakes done, English is not my first language but I still decided to keep my blog in English so that I can speak to more of you. Next Post That time a year – Medical checkup. Thanks Maria for your latest Blog. Whilst I don’t have a fear of flying I know a lot of people do. One small point I would add, if I may, a number of airlines run “fear of flying courses” to help passengers overcome their fears. Thanks for your blog, youtube channel and instagram posts. Adore sky, aviation and 21 century for these opportunities to read, watch and follow cool pilots. Good luck! Hi , Maria thank you for blog fear of flying made me feel little bit more comfortable❤️only I wanted to ask you geastion plese. Why I feel scared flying at night 🙁 I don’t know why I’m scared, why I think when it’s different than flying at day? Sometimes I think maybe pilots are more tired and they can fall a sleep,or maybe because it’s dark and can’t see nothing out of window,or plane been flying all day and something bad can happen because need rest the engine? What is the different between flying day time and night time? Thanks for the read! I am very happy these things get talked about. However I wish I could say I’m free of fear now. 🙂 My fear is not a fear at all actually, it’s more like phobia, panic attack when brain runs its own world and logic sense has no say in it. For example – I have flown in cockpit in commercial plain because I was so scared. Flight attendance have given me strong alcohol, medication, they also put me in first class seats and explained plane’s mechanisms etc. They were fantastic really. This panic of flying wouldn’t be a problem if one didn’t want to travel right. But urge to travel, to see far away lands, different nature is something inside that’s pulling me every day. So yes, I haven’t been able to go into airplane since 2015..